I should say mad scientists, as two of the top offensive minds in college football reunite in Stillwater. 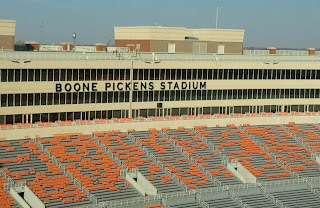 It was Holgorsen's (Mike Leach's) offensive system that was installed in his one year at Oklahoma State in 2010. 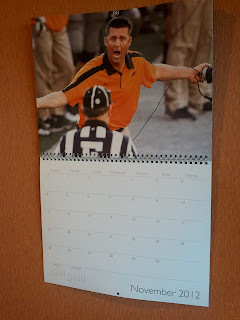 Coach Gundy and his staff is still running it now, while Holgorsen has taken his circus act to West Virginia. And one year after Holgorsen took over at West Virginia, the Mountaineers exited the Big East and found themselves in the Big 12. On weekends like this it will be a nightmare travel scenario for Mountaineer fans ("Country Roads" indeed), but Holgorsen is right back where he started. Now Holgorsen's a charcter - some would say rock star - and is hardly sentimental about a return to Stillwater where he spent all of one season. He reminds us he was an assistant at Texas Tech and Houston for many years and spent far more time on the opponent sideline than the home one at Oklahoma State. He's also got bigger problems with a Mountaineer squad that's going off the rails after three straight losses. It's warm here in Stillwater, but it's been very windy. If only a man could think of a way to harness all that power and turn it into energy. Just food for thought. 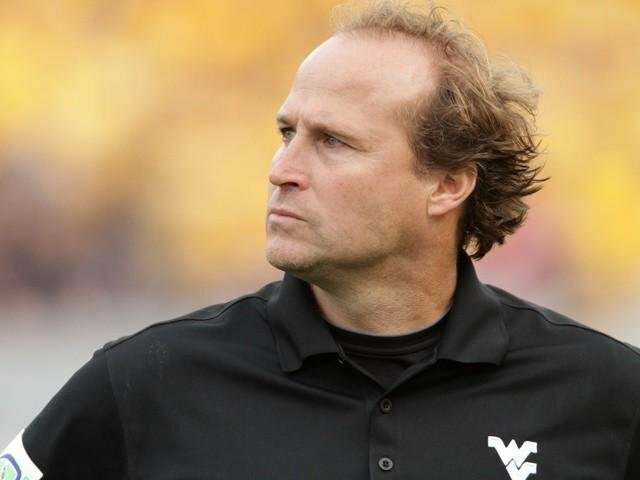 The wind may have an affect not only on Coach Holgorsen's hair, but on the high-volume passing games that both teams employ. Which is why Oklahoma State has the edge, despite a third string QB in this week, they have All-Big 12 RB Joseph Randle who could take the game over. But the game within the game is the game of I-know-that-you-know-that-I-know what we're gonna do next, now just stop us. The over under on total points is somewhere in the neighborhood of 80. 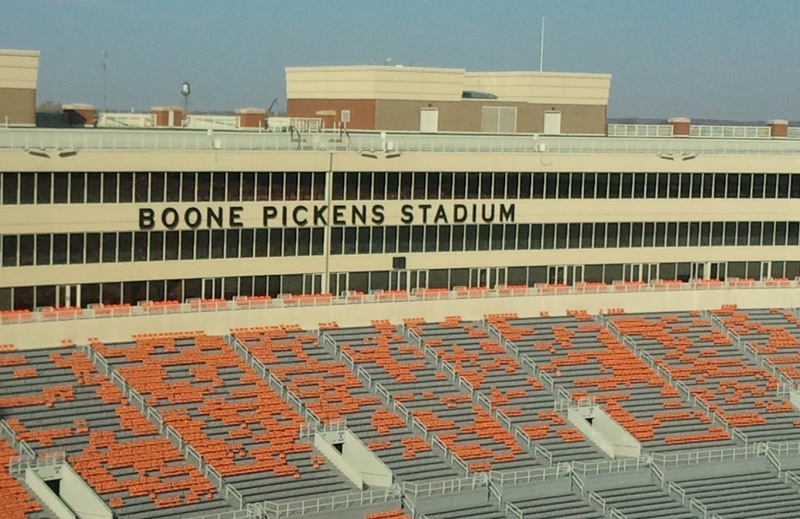 And around 4 hours, to see a couple of ornery guys on the sidelines. You can set your calendar to it.